We are going to know how IoT can help you with your situation in agriculture. 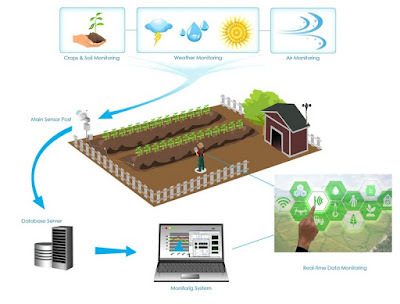 There are a lot of use cases in the agriculture industry that IoT can help you to solve. But for each use case, the final solution will be slightly different, even if the general system architecture is based on the same principles. The core of every IoT system is DATA. Lots of DATA. The architecture of IoT system has to provide an ability to collect data from sensors, store data for analysis, analyse the data to gain insights and share the gained results with other systems or users. Now I am going to show you the complete example. There is a farmer who lives in a far away house. He owns the field with poppies. But poppy is very prone to mildew and other diseases, that can damage the whole yield. What can the farmer do? He could repeatedly spray with fungicides and pesticides the whole yield OR he could identify the problem in the right moment and spray at the right time on the right place. And thus he could save costs, reduce environmental impact and produce more and better poppies. But how can he do it? He can place sensors to different parts of the field to measure environmental and climate conditions and plants changes. Then, data from all sensors are transmitted to a central unit where can be processed by a SW (Middleware and Applications). The SW is designed to manage sensors, analyse their data, visualise the results and set rules for notifications to inform other systems or users about important situations. Such system can be really helpful to the farmer, who can react immediately to each situation and helps him to treat or harvest appropriately and thus protect his precious and make some savings. 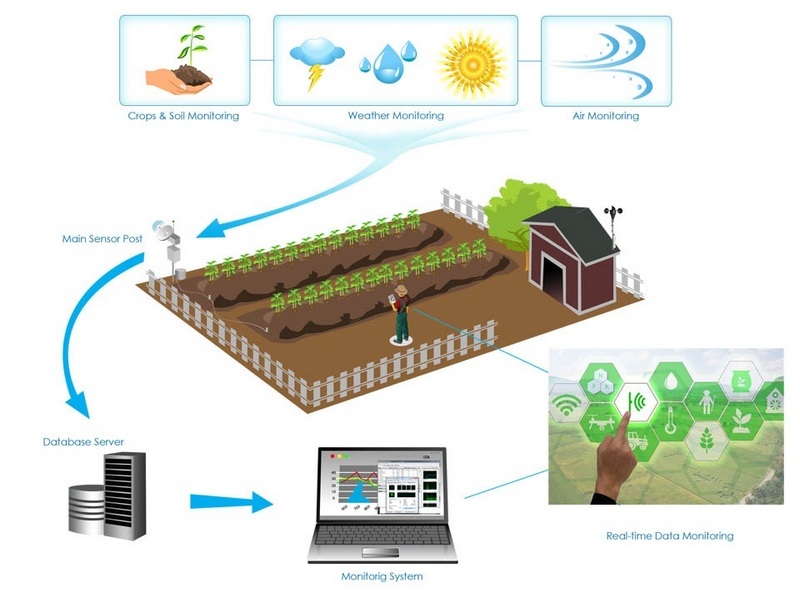 1 Response to "2019 IoT Architecture for Agriculture"